A dream which took root in the heart of a Grade Nine schoolboy has taken flight in more ways than one. 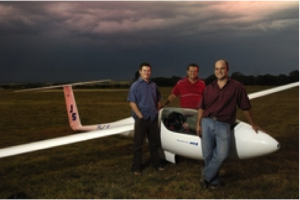 Dr Attie Jonker, from the School of Mechanical and Nuclear Engineering at the North-West University in Potchefstroom, grew up with the desire to build the best glider in the world. Unlike the dreams of many small boys, this one has become a reality. Jonker’s achievement has been the recipient of many accolades, the most recent of which was an NSTF-BHP Billiton Award for an outstanding contribution to Science, Engineering and Technology Institutes through research leading to innovation in Small, Medium or Micro enterprises. Another innovation is the development of an integrated jet turbine engine, which can be extended or retracted within 30 seconds – a safety feature which will allow the glider to return to earth safely when there are not enough thermals to climb. 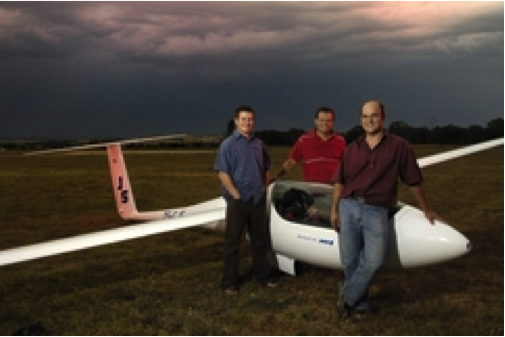 Jonker, who formed Jonker Sailplanes with his brother Uys and colleague Dr Johan Bosman, is passionate about the link between research and the commercial sector. A product like a glider or sailplane clearly requires a lot of research before it can get off the ground, but Jonker believes that research is a vital component of any commercial endeavour. “The only way forward for South Africa is to become more competitive,” he explains. “We are in a commercial ‘war’ with other countries. It is a battle we can only win when industries and universities work together. We have proved that excellence in research can deliver a great commercial product and a great commercial product will provide the funds that are needed for further research and development of the product,” he says. We have chosen to use labour-intensive manufacturing methods which have a very low environmental impact,” he says. Without the collaboration between the company, the North-West University and the Technology and Human Resources Programme (Thrip) of the Department of Trade and Industry, we would not have achieved what we did,” Jonker says.